A friend of mine is in the market for a shoulder bag and asked me for some recommendations. 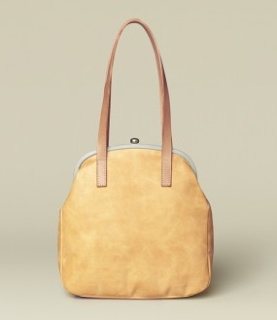 I've been a little bit obsessed with totes of late and that's definitely been reflected in my posts. So I've had a bit of fun pulling together a shortlist of five different shoulder bags, each style a little different from each other but all from interesting independent designers. 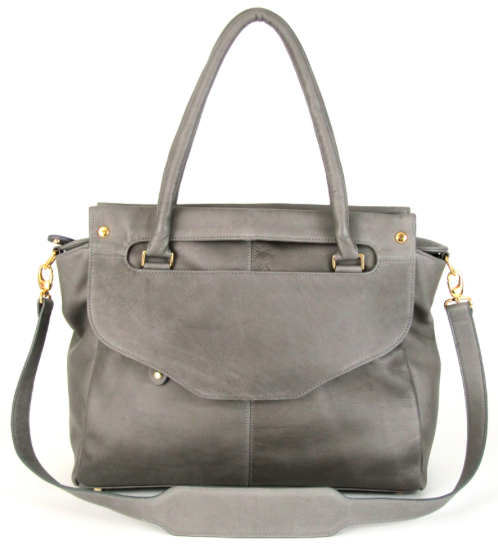 A modern take on a classic frame style, the Donna bag is typical of Ally Capellino design. It comes in two beautiful colours, softly hues of brown and yellow. And even better, it's currently on sale on the Ally Capellino site. Coming out of Tel Aviv, the Stella and Lori brand is all about unique, individual products crafted from high quality raw materials with great attention to detail. 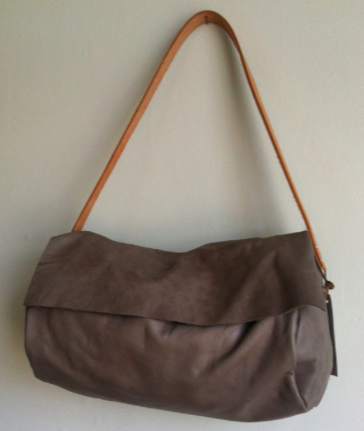 The Brown Leather bag has a short, over-arm handle and a longer over shoulder or cross body strap and can found on the Stella and Lori Etsy store. 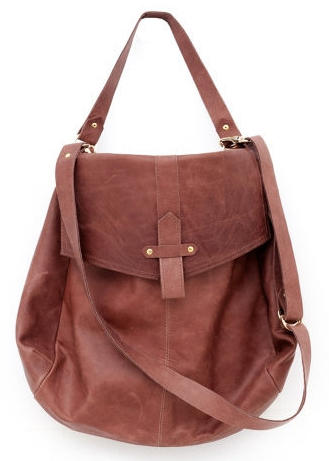 The Louie Satchel from Shana Luther is a great looking shoulder bag with the option of double shoulder straps or a removable long shoulder or cross body strap. It's big enough to fit a 13" laptop which I like as I'm a bit partial to a big bag! I really like the grey which is a colour that's versatile enough to work as well in summer as it does in winter. It's also on sale on the Shana Luther website. Hawke and Carry was founded by Paula Collins, an ex-designer for many well-known American brands. Her inspiration is derived from "people producing things on a smaller scale" and she hand makes all the products from the Hawke and Carry brand so if you order a bag from Hawke and Carry it will be made especially for you! Contact Hawke and Carry here. 1 Per Diem is an accessories brand that takes inspiration from the streets of New York where it's based and their range of products are made. 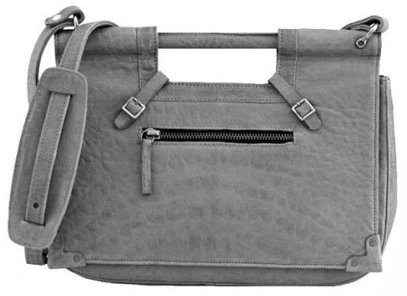 While this bag also comes in black, I am loving grey at the moment and this is another example of a trans-seasonal bag plus has the flexibility of being taken from day into the evening as it's on the smaller side of all the shoulder bags in this post.